©2015 Laurel Delaney. All rights reserved. I had the great honor and privilege to listen to Ken Chenault, Chairman & CEO, American Express and Jack Ma, Founder & Executive Chairman, Alibaba Group have a conversation on building and supporting the small business community and the opportunities and challenges facing them. Small businesses are making a big impact. From local restauranteurs to online shop owners, entrepreneurs are helping shape and enhance their communities around the world. Read Jack Ma's latest commentary published in the Wall Street Journal (6/9/15). Read the Chicago Tribune news article (6/10/15) about the event. Watch the CNBC (LIVE Chicago) interview with Jack Ma talking about Alibaba's international strategy. 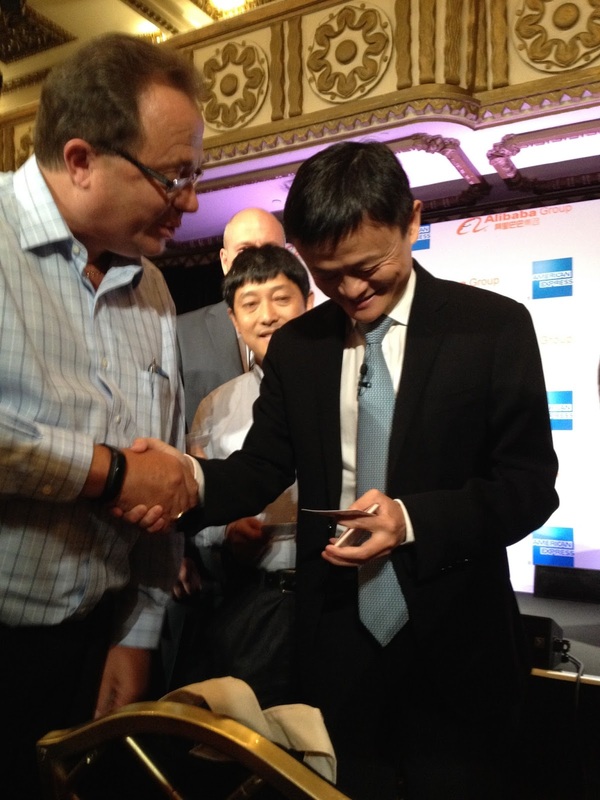 Learn more about the Alibaba Group's story (video) here. Internet Retailer's coverage by Nona Tepper here.